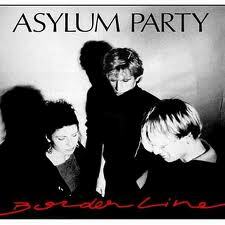 One of the true representatives of punk in the mid-80s, Asylum Party, releases their full-length album Borderline: a true must-hear for every punk / metal-head / rock fan. Each track radiates Asylum Party‘s unique, apathetically cold excellence, and the album itself gives off a heavy, chilled, dark vibe, in their tone as well as lyricism. The whole mood is accentuated by heavy synth strings, flat percussion, and a dry bass sound. Borderline is a good album for easy listening, adding to your LP collection, or just for general exploration into the old-school punk scene.